The Bedford Hotel has a fascinating history and we pride ourselves on offering modern day comfort while preserving the hotel’s historical significance. The Bedford (as it is known now), was in fact one of the first Regency houses to be built on the seafront in Sidmouth. It was originally Wallis’s Marine Library and Reading Rooms. John Wallis (d. 1818) was a London game, book, map and print maker and seller, operating from 1775, when his business was called the Map Warehouse. His Marine Library and Reading Rooms quickly became a popular meeting place for Sidmouth’s fashionable summer visitors in the early 19th century. The Library was first opened to the Public in June 1809. It boasted a lounging place for the fashionable visitors to Sidmouth who enjoyed articles of fancy, as well as information and a place to meet and discuss the news of the day. In 1815 HMS Bellerophon passed this way with Napoleon on board. All the hire telescopes at the Library were taken. Napoleon was transferred to HMS Northumberland at Torbay and taken to St Helena. Between 1815 and 1845 the building was enlarged, and by 1865 had become The Bedford Hotel. The hotel is now owned by the Pyne family. Orignally from Budleigh Salterton in Devon, the Pyne family are third generation farmers at South Farm. They started selling their home grown produce in the Farm Shop back in the 1970s and the farm shop is still going strong today. 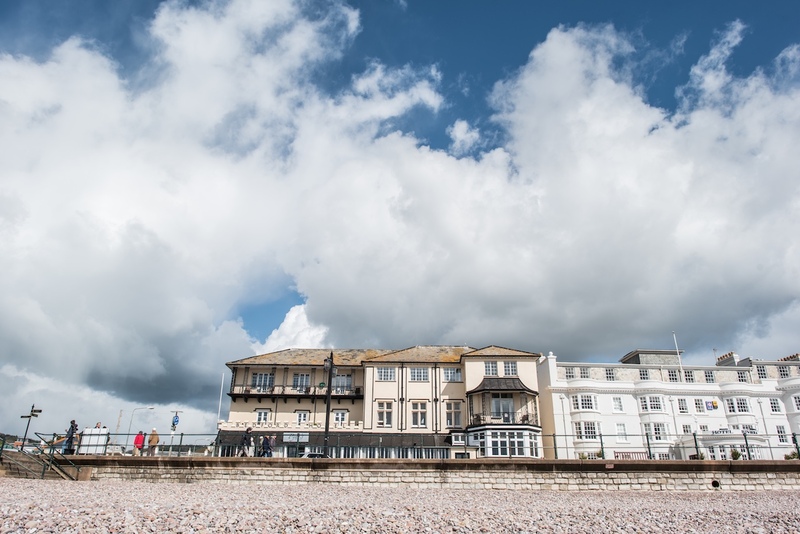 In March 1990 the family bought The Bedford Hotel, Sidmouth and in February 1991 Pyne’s at The Bedford, a sea front bar and restaurant was formed. Both have been owned and run by the family ever since. Over the past 20 years both Pyne’s and The Bedford Hotel has built a good reputation amongst locals and visitors for good food which is locally sourced, much of which is from the family farm.